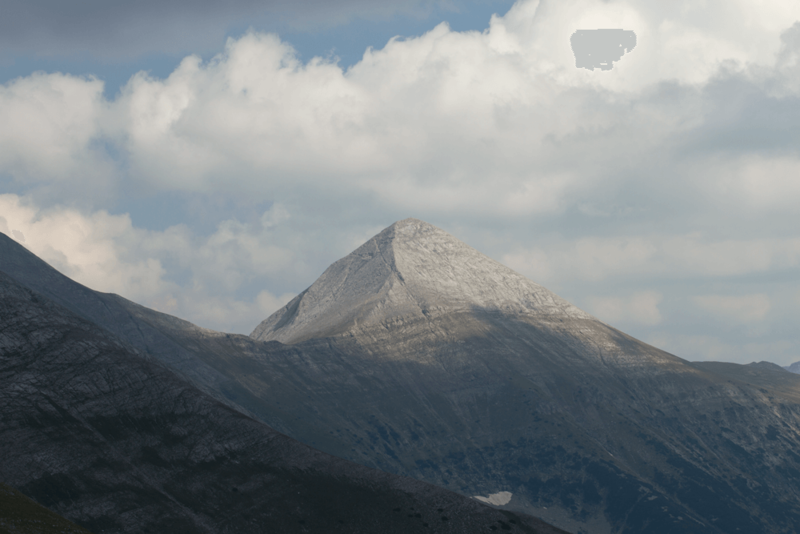 Vihren Mount is the highest peak of Pirin Mountain and second highest in Bulgaria (after Musala). 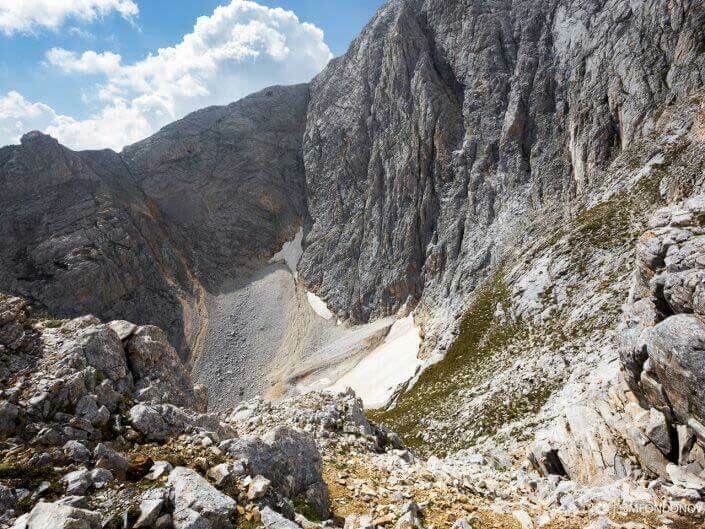 It is located between the rivers Banderitsa and Vlahinska and its height of 2914 m Vihren challenges mountain lovers, as well as experienced mountaineers. The best “base” to start climbing is the town of Bansko. On the one hand, the resort town offers good accommodation, restaurants and attractions. On the other hand, it is the closest village to Vihren hut (where the climbing route starts). Advice: prices of hotel rooms in Bansko are pretty cheap during summer so if your schedule allows it, it would be nice to stay a bit longer in town. Thus you could go sightseeing Bansko, as well as have a good rest both before and after climbing Vihren Mount. You shall spend a great holiday and add an extreme climbing of one of the most attractive mountain peaks in Bulgaria to your experience. The best season for climbing Vihren Mount is between July and the beginning of September but even if you chose that exact period for your visit, check the weather before starting climbing. If forecasts predict rain or fog, you’d better wait for a day or two and have fun in the town, visit Bansko attractions or go sightseeing. Do not climb in inappropriate weather! Prepare good equipment – reliable mountain shoes, long-sleeve blouse and trousers, light jacket stopping the cold wind which is persistent on the top. Have a good stock of water, food and don’t forget to take a good camera with you. It wouldn’t be redundant to have a warm hat and a pair of gloves in your bag (believe us, you will need them on the top). 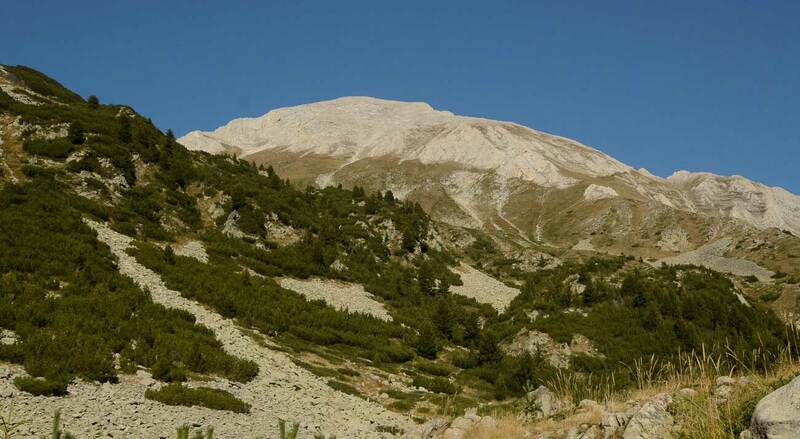 Climbing routes from Bansko to Vihren Mount are two – one on the south slope (the classical one) and another on the north slope. 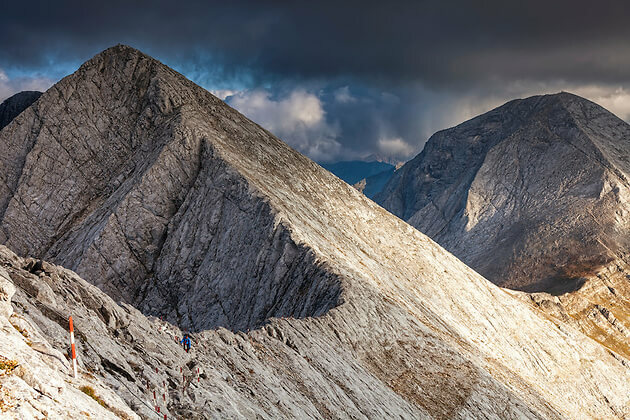 Classical route is appropriate for any mountain lover and we recommend it to people who are not accustomed to climbing or their physical preparation is not good enough. The distance between Bansko and the hut is about 18 km so if you have planned a single-day-climb, you have to wake up early in order to have enough time. The road to the hut is good but there are many turns so you will need at least half an hour to reach it. Parking next to Vihren hut can also be a problem because there are few parking lots. Therefore, if you notice parked cars on the sides of the road to the hut, don’t try to reach it; you’d better also park there. If you have a tourist book, there is a seal in the hut. You can also get it sealed in Bansko but you have to know that the two seals are different. The climbing to the peak literally starts some metres away from the hut. Follow the marking – white-red-white for the classical route – and after approximately 30 minutes of climbing along a narrow rocky path, you will reach a fork where the path splits in two. The classical route continues to the left. The right one passes through Kazanite and is far steeper and more dangerous so be careful not to go the wrong way. This stage is probably the easiest and the most beautiful of the whole route. There are some steep and rocky places but there are plenty of resting spots and the landscape is extremely beautiful. If you don’t press yourself to hurry, you will complete this stage in an hour or an hour and a half. When you reach Kabata saddle, have a longer rest because the substantial climbing to the top starts there. You would need about 15-20 minutes to reach the foot of the peak and then the harder part begins. The way up the hill is steep reaching some segments 45º gradient so be careful. Advance slowly, have short rests and in an hour you will reach the goal – Vihren Mount. When you reach the top all the inconveniences of the route will lose significance. The views before you are hard to describe. If the weather is good, you can see Pirin Mountain in all its glamour, Koncheto, Kutelo, as well as Rila Mountain and Malashevska Mountain which are nearby. The time required to reach the top is approximately three – three and a half hours depending on your physical condition. If you are experienced mountaineers, you can opt for climbing the north slope. Consider that while the path of the classical route goes around the peak and is therefore much easier, this route leads you through fairly steep segments so you should be really well-prepared to choose this option. Once the stage is completed (it will take you at least an hour) you have to make an acute turn, to walk along a steep path cut into the rock that will lead you to Kazana shelter. There you can stop for a short rest and enjoy the views of the permanent snow areas, the walls of Vihren Mount and of Kazanite cirque. Kazanite are two cirques – the Big one and the Small one. They are lying between Premkata saddle and Vihren and Kutelo peaks. Their name (“Cauldrons”) comes from the fact that they look like big cauldrons. Their slopes are steep and there is permanent snow area on the bottom of the Big Kazan. The path continues through Kazanite. Keep in mind that in some parts you will have to climb nearly vertically and you may need to use all four limbs. In 10-20 minutes you will reach the saddle that separates Vihren and Kutelo mounts. At that point you can choose whether to continue to Vihren or to deviate and reach the other peak – Kutelo and Koncheto. If you aim at climbing Vihren, you have to turn to the south-west and to start the substantial climbing to the top. The terrain is steep, rocks and marble are slippery and therefore you should be very careful. Continue along the path and in 40-50 minutes you will reach your final destination – Vihren Mount. If you are in good physical shape you could also make a longer hike, climbing the peak following the classical route (south slope) and climbing down along the north slope through Kazanite, Kutelo mount and Koncheto before getting back to Vihren hut. This route is not appropriate for people who are not experienced mountaineers or are afraid of heights. The trek is approximately 5-6 hours long and the terrain is hard. If you don’t feel completely prepared you’d better to avoid it. Vihren hut is the starting point. Follow the marking of the classical route and in about 3 hours you’ll reach the top. Premkata saddle is more than one kilometer long and there are places that are hard to cross. There are steep areas that require both climbing up and down hills of big gradient. The saddle is amazing also because one of the most beautiful mountain flowers grows there – the edelweiss. You can stop for a rest and take some pictures (don’t pick edelweiss because they’re protected). The trek between Kutelo Mount and Koncheto is not easy at all so don’t underestimate it. The path is extremely narrow and sometimes scary. There are very useful metal ropes at the steepest places but you should be careful even so. You will reach Banski Suhodol Mount in an hour or an hour and a half. Once on the top, you can choose between several routes for climbing down – to Banderitsa hut, Yavorov hut or Vihren hut. If you decide to descend to Vihren hut and you are not too tired yet, you can spend some time to visit the Baikusheva white fir which is only 200 metres away from the hut. Search for a sign around the hut and follow the path to the spot. Baikushevata mura (white fir) is approximately 1300 years old and it is worth visiting even if it’s not exactly part of the route to Vihren Mount. If your desire for extreme experiences is not satisfied even after you pass through Koncheto, you can also try Koteshki chal. Koteshki chal is an area perpendicular to Koncheto and crossing it is very extreme. Passing through Koteshki chal is possible without equipment as well but it really is kind of dangerous so think twice before deciding to do it. If you are not well prepared, our advice is to forego this extreme experience.